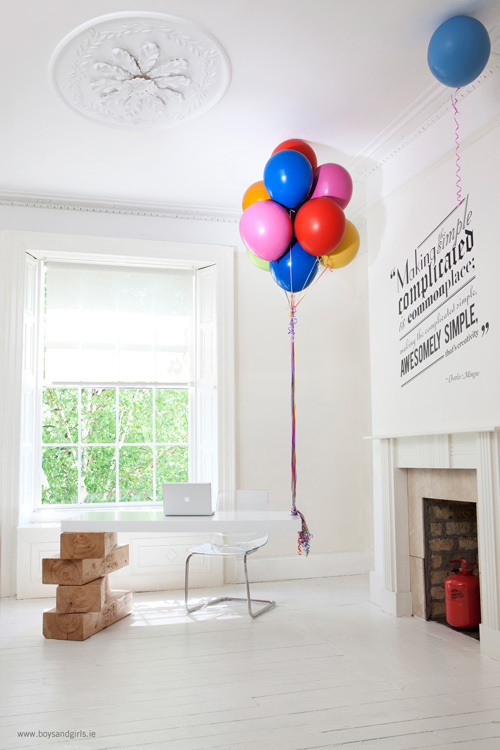 Dublin-based creative agency Boys and Girls designed the latest addition to their office, their awesome balloon held reception desk. 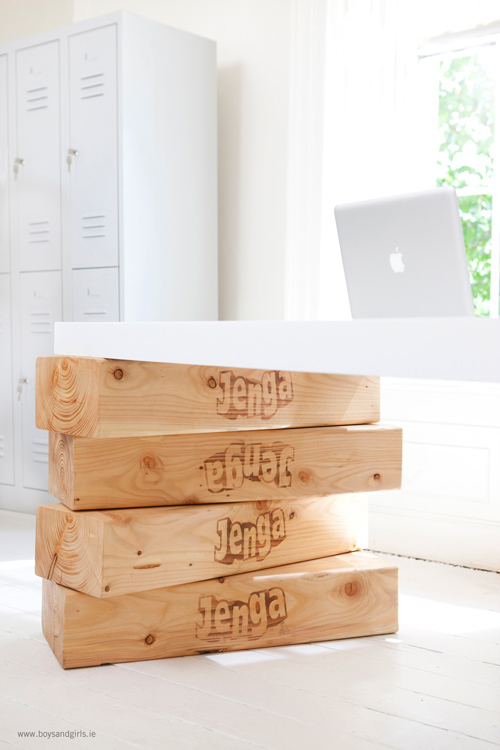 On one side, the desk rests on giant-size Jenga blocks and on the other it’s suspended by balloons. 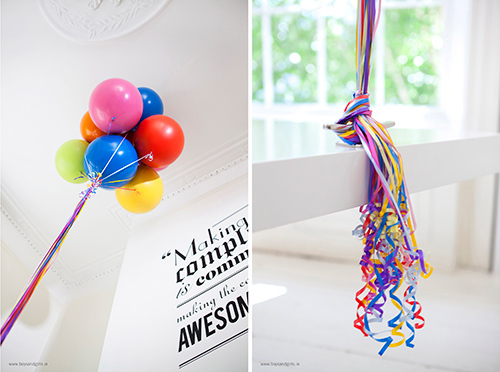 That’s right…balloons are holding up the desk. But these are no ordinary balloons, mind you. They’re made of a special rubber composite that allows the balloons to be truly air-tight and they’re filled with a Helium/Hydrogen hybrid gas with an atomic weight 150 times lighter than Helium alone. And if that weren’t enough, the ribbons are reinforced with Carbo-Titanium and secured to the table on an aerospace grade titanium cleat.